Voodoo pasta – Boscos Restaurant & Brewing Co. I liked this pasta, but I thought that there should’ve been more of the cream sauce. The pasta felt a little dry. I liked the rich flavor of the sauce. The chicken was good, but the shrimp was overcooked. 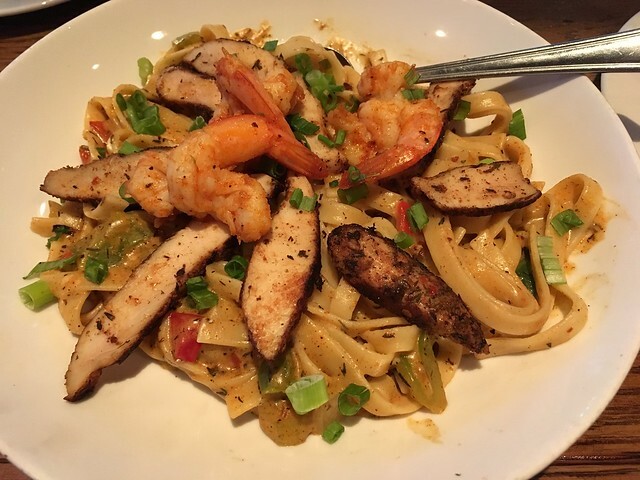 This entry was posted in Boscos Restaurant & Brewing Co. and tagged chicken, creamsauce, fettuccine, food, pasta, shrimp by vicentesf. Bookmark the permalink.